Heal Your Love is a collection of poetry that infuses survivor stories with imaginings of femme futures. The book is divided into five chapters that chronicle a healing process. The book cover contains artwork by Mar Pascual, and each of the five chapters within the book contains original illustrations by Roxana Dhada. 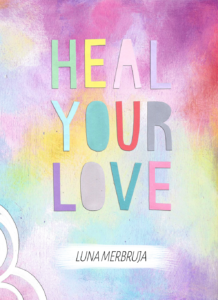 Heal Your Love is now available for purchase at Amazon.com.